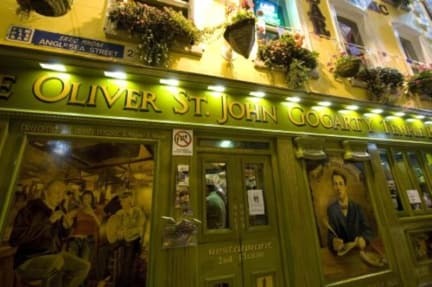 The Oliver St John Gogarty Penthouse Apartments i Dublin, Irland : Boka nu! Right in the absolute middle of things. Wouldn´t want to stay anywhere else when I return to Dublin! Six of us stayed in the large penthouse on the roof, and it was really a perfect apartment and Worth every penny.